The GPSMAP 420 is a sleek, space-saving chartplotter that features an ultra-bright 4” QVGA display; built-in, satellite-enhanced worldwide basemap and simplified user operation. The 420 also has an SD™ card slot so you can add additional features with the optional BlueChart® g2 Vision card. 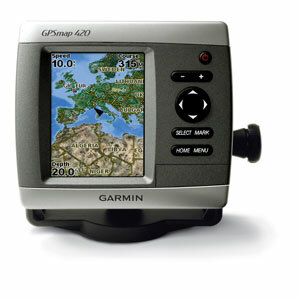 The 420’s basemap contains worldwide satellite images in place of more traditional maps, and its SD card slot makes it easy to add additional maps without connecting to a computer. With fewer keys and a simple, intuitive interface, the 420 makes navigating your way through the water easy. 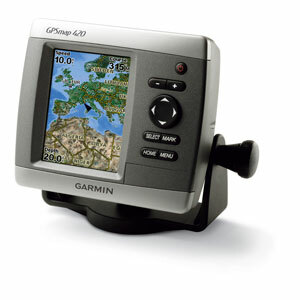 Where applicable, the sounder version, GPSMAP 420s, comes with a powerful dual frequency transducer that clearly paints depth contours, fish targets and structure whether you’re fishing in freshwater or off the coast. 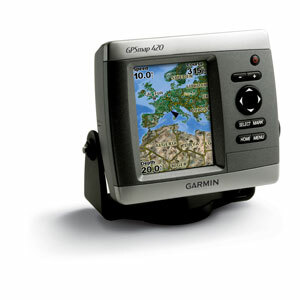 The 420 and 420s are also CANet™ compatible, so you can share sounder data with another chartplotter on your boat. MarinerEye view and FishEye view provide you a 3-dimensional perspective of map information, both above and below the waterline. For a low cost option try BlueChart g2 cards.